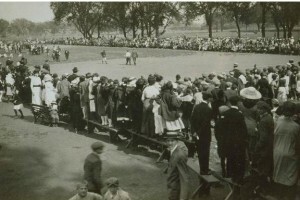 Here’s a game for the truly competitive: Flex your mental muscles—and invite your friends to do the same—by identifying the teams, athletes, venues, and other memorable sports highlights from Connecticut’s past. 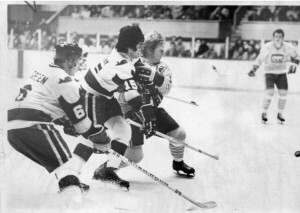 This photo, taken in 1974, shows members of a group that moved to Hartford in 1975 and became one of Connecticut’s most beloved sports teams of all time. Who are they? 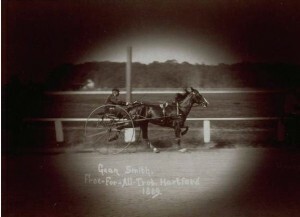 Established in 1873, Charter Oak Park in the Elmwood section of West Hartford was part of the Grand Circuit of harness racing and accommodated horse as well as amateur bicycle racing. It went out of business in 1925 due to newly passed Connecticut laws. Can you guess what type of laws? Born in Middletown in 1922, Guglielmo Papaleo started boxing in 1940 and became the World Featherweight Champion in 1942. 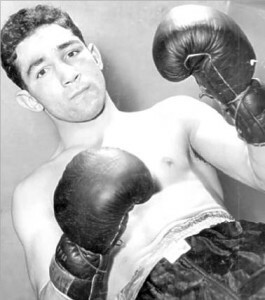 He is considered one of the best boxers of the 20th century and was inducted into the International Boxing Hall of Fame in 1990. Who is Papaleo better known as? Architect Eero Saarinen designed this arena. 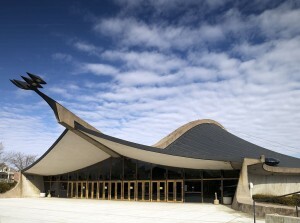 Completed in 1958 and often referred to as The Whale, it holds up to 3,500 spectators. Do you know what Connecticut city it’s in and which sports team calls it home? 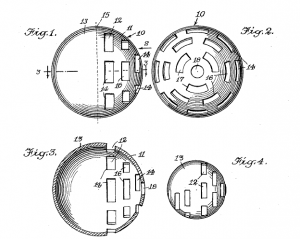 Fairfield resident David Mullany created this ball in 1953, and it revolutionized the way children across the US played one of their favorite backyard sports. What is it called? This park once boasted bowling greens, tennis courts, and 15 baseball diamonds. Today, you can still catch a vintage baseball game here in the summer. What park is it?